Anyone that's seen Rudimental live will know that the lads have an amazing live show. New single "Love Ain't Just A Word" will be a perfect addition to their set, Anne-Marie who featured on their last single is joined by Dizzee Rascal on a Drum n Bass/ Jungle banger. The album is shaping up nicely and I can't wait to hear it. 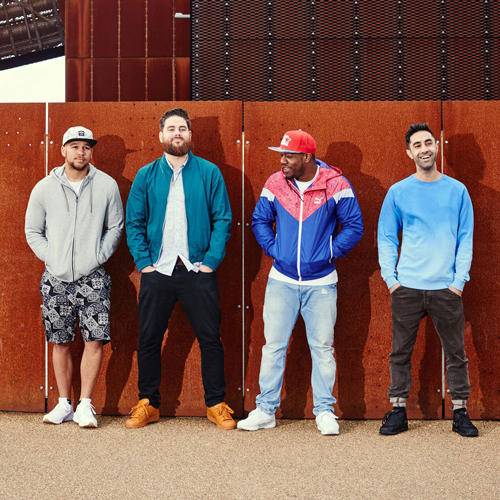 "Love Ain't Just A Word" is taken from Rudimental's new album We The Generation which will be released September 18th, you can pre-order it now on iTunes and Google Play. You can stream "Love Ain't Just A Word" now on Spotify.